Going on a trip meaning getting rid of all that planning and daily life. Many people think that a random travel plan is the best but they don’t know that if you organize your trip, they’ll get more time to explore new things. You are going to visit that place only once and you definitely don’t want to miss out certain things. 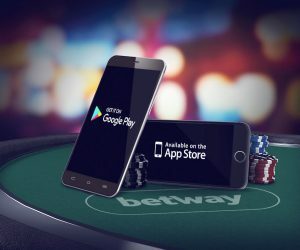 Getting hold of your smartphone to get access to Betway mobile casino shouldn’t be the only thing that you should be looking for. To have a successful vacation, you need to have the right amenities with you. Forgetting even little things could spoil your day, and we are sure you wouldn’t want that. Today, it’s not just about bringing in your essentials though; it’s also about bringing in the right gadget and apps. So, what shouldn’t you miss out on? Internet service on your phone might not always work and you definitely don’t want to rely on paper maps to take you through an unknown town or city. 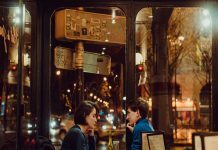 Pin the locations including museums, hotels, restaurants, and public transportation that you want to visit using the Google map creator. Save the pins in layers for different days of your trip. You don’t need internet connection to access the map. It is a huge time saver because you know everything that’s around, so you aren’t lost. A trip is a lot more than visiting gorgeous places and taking cool pictures. The ugly part is booking flights, managing automotive leases, and finding hotels, all of which is very stressful. Another difficult part of the process is putting the itinerary in one place. Rather than doing it manually, you can simply download Google Journeys or TripIt , which scans your inbox for bookings and develops a one-in-all itinerary. We suggest you to create a different email id for all your travel bookings, so the process is a whole lot easier. You might’ve hated spreadsheets while growing up. After all, who likes trying out formulas during the computer class, which was meant to make silly drawings on MS Paint. If you enjoy organization or not, spreadsheets are going to become your best buddies during the whole trip planning process. You can store different types of information on the multiple sheets available starting from best states to visit in the country. Pick two to three states you’d like to visit and go in detail about the places to visit in the next sheet. In the following sheets, mention the cost of the trip including flight, stay, and travel. Make the bookings and add them in other sheet. Write down a pre-trip guide and things you’ll have to carry in the next one. You can also plan every day of your trip in detail in different spreadsheets.